CLICK HERE FOR BOOK! 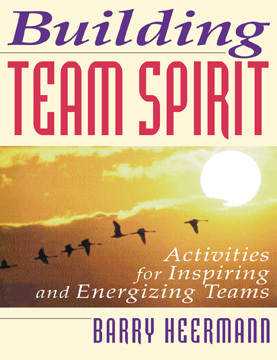 "Exponential gains in organization effectiveness are possible at the intersection of team and spirit. Despite the potency of this synergy of team and spirit, the notion is still incompletely understood by modern enterprises. To realize the possibility of spirited, high performing teams requires a shift in awareness, a shift in values, and with it a shift in the way teams work."